Kelp is a type of seaweed. 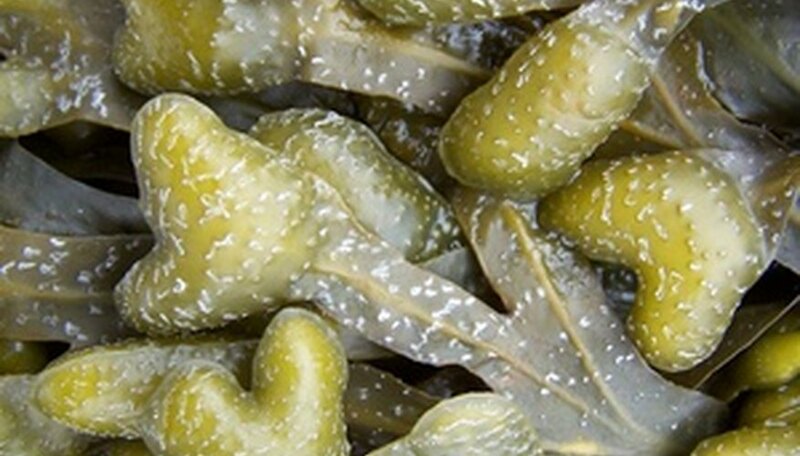 It is often produced as kelp meal and used as a fertilizer for all types of soil. It contains minerals and amino acids that aid the soil in retaining moisture. This keeps your soil healthy so that your plants and vegetables thrive. Using kelp meal as a fertilizer is preferred because it is completely organic. That makes it a better choice for the environment. Find the square footage of the area where you want to use the kelp meal fertilizer. You can do this by multiplying the width of the area times the length. Measure out 3 lbs. of kelp meal per 100 square feet of space. Use a hoe to break up the soil. If you have a large area, you may want to use a tiller. You should be doing this in the spring, before you get ready to plant. Sprinkle the kelp meal over the soil. You can do this by hand, or use a lawn spreader. Mix the kelp meal in with the soil that you have already loosened up. You could also use kelp powder instead. The powder can be mixed with water, and applied as a liquid. Use only 1 tbsp. of kelp meal in the soil underneath of a bulb.